Hi everyone! Today’s topic may sound a little strange and easy to understand but it is actually a valid question I get often from some patients. 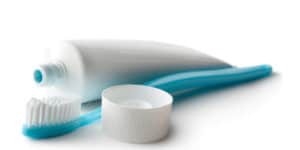 Many younger patients who want to take good care of their teeth ask me about how to use toothpaste properly to keep a good dental hygiene. I will try to cover the most ground and tackle the subject so those interested can learn and improve their dental hygiene routine. This is such an easy job. If you are a returning reader of this blog you already are aware of the ADA seal of approval. Basically it is a brand form the American Dentists Association that tells the consumer that the product it is indeed safe to use. It is associated with quality and you are safe to use any toothpaste with it. The next point is to pick toothpaste that covers your needs. Any whitening toothpaste is cool and all but you are better if you focus on toothpaste with fluoride that will clean your teeth. For those who are pickier with their products, there are plenty of options available, like vegan toothpaste for example. You can use the latest in technology or the most organic product but the most important thing is to brush your teeth at the end. I like for example toothpaste that can do all the work. That are whitening, gives you fresh breath and kill bacteria. If it has a good flavor it is a plus in my book. This can be an amazing trick for children who hate brushing. A good flavor will turn their opinion around! How should you use your toothpaste? Now that you have the perfect toothpaste for you it is time to use it. 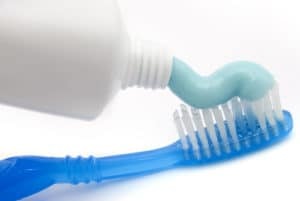 contrary to popular belief, you should use little bit of toothpaste when brushing your teeth. Only a tiny bit it is necessary to clean those white pearls and using more will only wear down your tooth enamel. Besides you will be wasting tons of toothpaste in nothing. Another thing many patient fail when using toothpaste is to rinsing with water after finishing brushing. This will strip down your teeth from all the benefits of brushing. You should only spit the excess and the foam after you are done brushing. For a good rinse it is better if you use mouthwash afterwards. Keep in mind that using dental floss is key for a good dental hygiene, so do not forget about that. I mentioned above about whitening toothpaste. If you are interested in whitening you should come to our dental clinic in Los Algodones, Mexico. We have excellent prices for all the family, work with a really prepared staff fluent in English and have the best attention possible. Save money in dental and make your appointment right now!